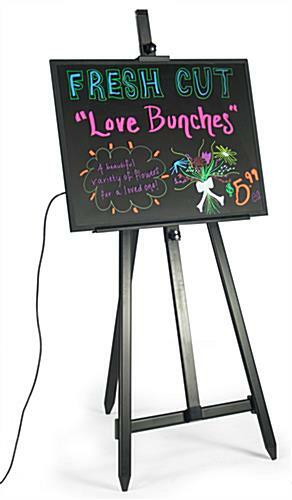 This Floor Easel is Ideal for Presentation Use at Every Event! 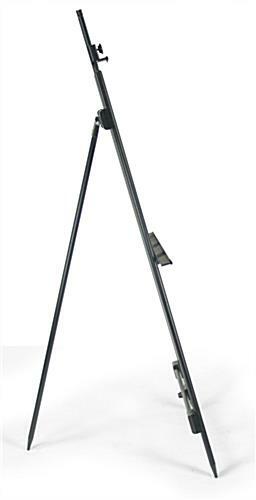 Choose from Tripod Configurations and Collapsible Stands! Buy Floor Easels for Kids, Clients, Friends, or Yourself! Adjustable top and bottom bars! Weighs less than 10 pounds! Durable aluminum for indoor or outdoor displays! 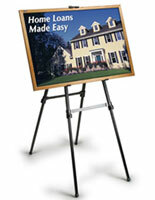 This floor easel is perfect for any indoor or outdoor display. The black finish and aluminum construction make this stand an ideal choice for most any type of setting. 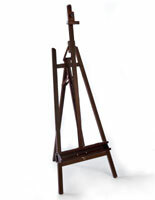 Each floor easel, also known as a tripod display, holds information of various heights and weights. 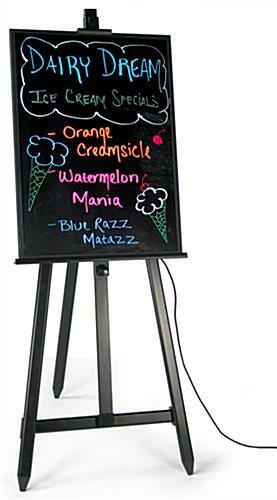 Use this versatile stand to display such items as a poster, directory, menu board or even a work of art. 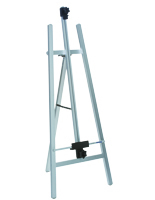 This floor easel has two adjustable bars, on the top and bottom, so that the tripod can hold a wide range of fixture sizes. The unit is shipped completely assembled, so it is ready for use right out of the box. 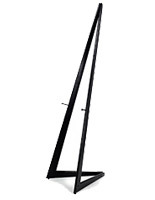 This floor easel, also known as an adjustable stand, folds up quickly so that portability is simple. This unit weighs less than ten pounds so one person can move it easily to the location of choice. 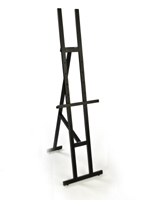 Each floor easel is made of durable aluminum with a basic black finish. The folding display, otherwise known as an exhibit stand, can be used to hold framed posters, dry erase boards, light boxes, bulletin boards, or any other type of signage! No additional tools are needed to adjust any of the supports or clamps on this unit. 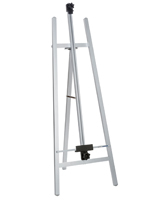 We sell this floor easel with two adjustable dials, which tighten or loosen the top and bottom bars. 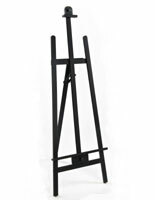 Each floor easel features an adjustable top and bottom bar with a 1-1/2" lip which easily slides up and down once the dials are loosened. Each tripod display can be modified quickly and easily to accommodate new signs or displays. 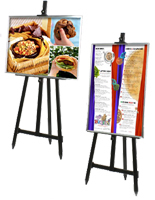 This floor easel can be used at trade shows, restaurants, or at any retail location for the perfect easel display system! 18.0" x 63.5" x 30.0"